Victory over Loan Modification Fraud! George Castro, like many other homeowners who purchased a home in 2004, obtained an Adjustable Rate Mortgage. The loan was secured by his residence which he shared with his wife, three children, a dog and a pet horse. The interest rate adjusted after five years to a point where the monthly loan payments increased substantially and he found it difficult to keep the payments current. Castro attempted to resolve the problem with his Lender but was met with insurmountable obstacles. A loan modification company, Advocate For Fair Lending,LLC (AFFL) promised to assist distressed homeowners with problems like his. Castro heard about AAFL from a friend. Castro went onto the AAFL website where he read sales materials indicating that AAFL offered to help borrowers “Save your home”. The internet sales materials indicated, “We force the lender to work with us on your behalf. If necessary, we will initiate legal action against your lender…. We force the lender to recast the terms of your loan… The lender will be forced to reimburse all loan settlement monies paid by the borrower in regards to this loan. You might even own your property free and clear… If the lender doesn’t accept demand (sic), then Court action is initiated”. AAFL was owned and operated by Mark A. Shoemaker who was a Real estate broker licensed by the state of California and attorney who owned and operated the Law Office of Mark A. Shoemaker. As the President/Chairman of Advocate for Fair Lending, LLC., Shoemaker promised that he could “analyze” the loan and if the loan was found to be illegal, the loan could be completely removed from Castro’s residence. On August 6, 2008, Castro telephoned AAFL who promised that in exchange for payments of 70% of his mortgage payments that AAFL would perform an “audit of their mortgage to search for and identify legal defects in the mortgage agreement. 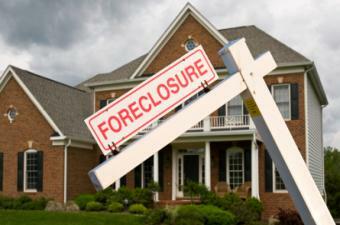 Once the “defects” in the mortgage were identified, steps, including the initiation of a lawsuit, would be taken to halt foreclosure proceedings and force loan restructured or modification. Castro sent AAFL all of his paperwork regarding the loan and mailed three payments totaling $9,162.66 as instructed. Despite this fact, the foreclosure sale of the property took place on November 3, 2008, and the bank repossessed the home displacing Castro, his family and his pets. No litigation was ever initiated by Shoemaker or AAFL against his lender as promised. Castro then hired attorney, Andrew H. Griffin, III of the Law Office of Andrew H. Griffin, III to represent him. Griffin filed a complaint against AAFL and Mark Shoemaker in the Superior Court of California, County of San Diego on December 31, 2009. (Case No. : 37-2009-00080288-CU-OR-SC) The case took almost 4 years to complete. During this time Shoemaker filed for Bankruptcy. He lost his license to practice law and he also lost his license as a California real estate broker. The State Court trial lasted for 4 days. On September 20, 2013, Judge Judith F. Hayes of the Superior Court found that Shoemaker was liable to Castro for fraud and unlawful business practices under Business and Professions Code section 17200 for his actions in operating AAFL. Judge Hayes opined that the fraud was committed in Shoemaker’s professional capacity as a lawyer and as owner of AAFL. The Court further held that as the owner and sole shareholder of AAFL, and as an attorney, Shoemaker made false statements of material fact to Castro to induce him to pay a total of $9,162.66 for the purpose of stopping the foreclosure sale of their home. Judge Hayes stated that Shoemaker “through his company, AAFL, falsely represented that they had the power to force the lender into a restructure or modification of [Castro’s] mortgage. AAFL’s advertising materials failed to disclose to [Castro] that AAFL had little or no success in this regard”. The finding of fraud by the Court is of particular importance because Shoemaker had filed for bankruptcy under Chapter 7 of the Bankruptcy Code. Griffin, a bankrutuptcy attorney, obtained a relief from automatic stay to bring the lawsuit. The judgment of fraud is significant because the debt by Shoemaker would be nondischargeable in his Bankruptcy Petition. After entry of judgment, Griffin will return to the bankruptcy Court to obtain a judgment determining that the debt to Castro is nondischargeable. This means that Shoemaker would have to pay the money to Castro regardless of his Bankruptcy Petition. The Statement of Decision will become a final judgment 15 Court days after it was filed. The decision awarded the amount of $34,162.60 plus costs of suit per code to Castro.